Acer is providing visitors with an immersive gaming experience at Computex 2018 in Taipei by showcasing its full line of gaming PCs and gadgets, as well as bringing in celebrity gamers to get in on the action with Acer gaming devices. In addition to the company’s booth at the Computex exhibition hall, Acer has created product experience rooms, locating them in downtown Taipei and opening them to the public so passers-by can experience Acer’s latest gaming PCs and gear, and even compete against celebrity gamers. In line with Acer’s vision of breaking barriers between people and technology, this year’s exhibit at Computex gives consumers and the media new ways to experience the latest gaming technology. Coming off the excitement of products unveiled at the next@acer global press conference in New York this month, consumers will now have a chance to experience the new Predator Helios 500 performance gaming notebook, the intimidating Predator Orion 5000 and 3000 gaming desktops, and a whole family of Predator gadgets, among others. On top of that, the company is using the long-running PC exhibition to let the public become part of the show through interactive events, competitions with celebrity gamers, and hands-on product demos. Acer will also be showing a selection of high-end gaming products at the Nangang Exhibition Hall. Built for graphic-intensive AAA titles and live streaming, the Predator Helios 500 (PH517-61) is a gaming beast. It features up to a 2nd Gen AMD Ryzen™ 7 2700 processor[i] with 8 cores and 16 threads, and AMD Radeon™ RX Vega56 graphics with 8 GB of second-generation high-bandwidth memory (HBM2). Top-notch visuals are delivered on bright, vibrant FHD (144 Hz) or 4K UHD IPS 17.3-inch displays supporting Radeon™ FreeSync technology for the blur- and tear-free gameplay. The Predator Helios 500 stays cool with two of Acer’s proprietary AeroBlade™ 3D metal fans, and five heat pipes that distribute cool air to the machine’s key components while simultaneously releasing hot air. Fan speed can be controlled and customized through the award-winning PredatorSense app, which can also allow users to define macros for the five hotkeys. One set of hotkeys are pre-defined to quickly launch Mixer, Microsoft’s next-generation live-streaming service, where gamers can broadcast their gameplay or watch live streams of the hottest gameplay. Two speakers, a subwoofer, Acer TrueHarmony™ and Waves MaxxAudio® technology deliver superior sound quality made immersive with Waves Nx® head-tracking technology for a hyper-realistic 3D audio experience. 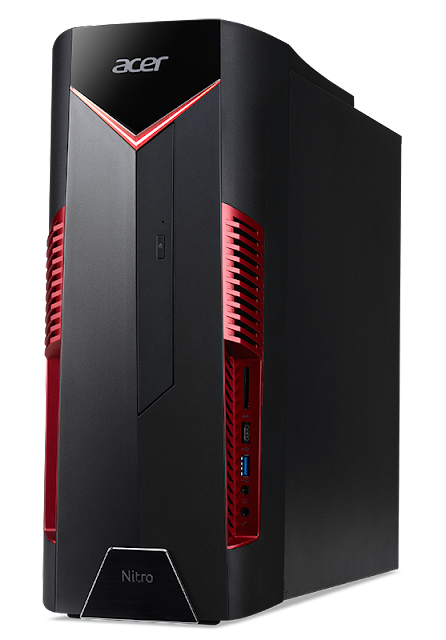 The new Predator Orion 5000 (PO5-100) gaming desktop features up to 2nd Gen AMD Ryzen 7 2700X processors with 8 cores and 16 threads paired with the latest AMD B450 chipset1, and up to NVIDIA® GeForce® GTX 1080 GPUs so gamers can enjoy their favorite game titles at incredibly high screen resolutions, as well as premium VR experiences. The Predator Orion 5000’s chassis has a transparent side panel to show off its powerful internals and is EMI-compliant to protect users and peripherals from potential electromagnetic interference. Easy-open side panels allow users to quickly swap out components and cables during upgrades. The IceTunnel 2.0 airflow management design segments the system into different thermal zones and provides each sector with its own airflow tunnel to expel heat. As the latest addition to Acer’s Nitro product family designed for outstanding casual gameplay at affordable prices, the Nitro 50 (N50-100) features up to 2nd Gen AMD Ryzen 7 2700X processors with 8 cores and 16 threads, with graphics options of AMD Radeon RX 580 GPUs or up to NVIDIA GeForce GTX 1060 GPUs, housed in a striking and edgy armor-inspired chassis with front-facing LED lighting that emits a sinister red glow. The Nitro 50 delivers stunning 4K resolution visuals, and with up to a 512GB SSD and 3TB HDD, there’s no shortage of storage. It also features a handy wireless charging deck1 for keeping users’ Qi-enabled wireless devices powered up and ready to go. In addition, the Nitro 50 desktops optimize network speed for gaming, browsing, and streaming through Realtek Dragon LAN. 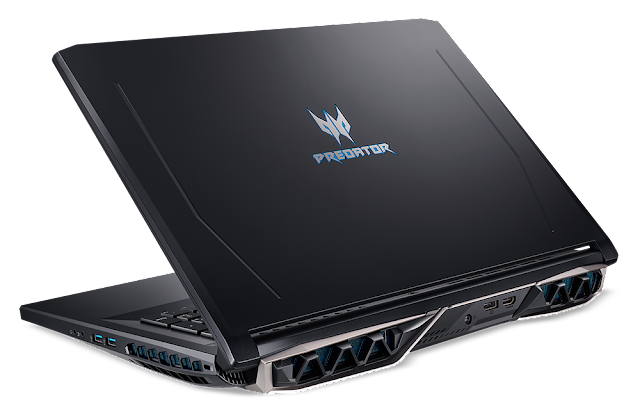 The Predator Helios 500 (PH517-61) gaming notebook will be available in North America in August starting at $2,199; in EMEA in July starting at €1,999, and in China in August starting at ¥25,999. 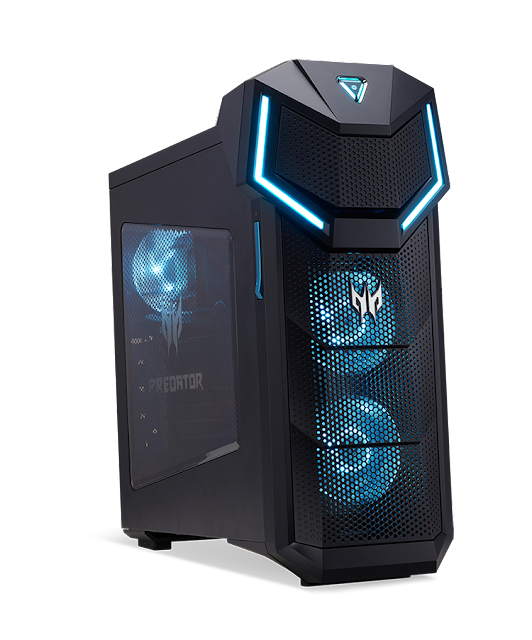 The Predator Orion 5000 (PO5-100) gaming desktop will be available in North America in September starting at $1,499.99. The Acer Nitro 50 (N50-100) gaming desktop will be available in North America in September starting at $899.99. Exact specifications, prices, and availability of these new products may vary by region. To find out about availability, product specifications and prices in specific markets, please contact your nearest Acer office or retailer via www.acer.com. For information about Acer events at Computex 2018, please go to www.acer.com/computex-taipei-2018/en/. Visit Acer in Taipei at Xinyi Plaza, Xiangti Avenue Plaza (June 5 to June 10) and Nangang Exhibition Hall 4F Booth #L0317 (June 5 to June 9) to experience Acer's latest products and technologies.